To read the full constitution, click here. Today, The Society is incorporated as Hillside Agricultural Society Inc., with a president, 12 vice-presidents (six men, six women), secretary, treasurer, superintendent of livestock, the last ex-president, and the delegate to the Massachusetts State Fairs Association as the Executive Committee. To learn more about our directors and superintendents, click here. Each year, we offer scholarships to promising students. To apply for a 2019 scholarship or to review past recipients, click here. The Society is proud of our long history and grateful to our many supporters, sponsors, and award donors. Life membership in The Society is available for five dollars. Please join if you believe in keeping The Society operating. Many volunteers are needed to run The Cummington Fair and are very welcome at any time. Color photos above are courtesy of the Forbes Library, Northampton, Massachusetts, and are from the Robert P. Emrick Collection. 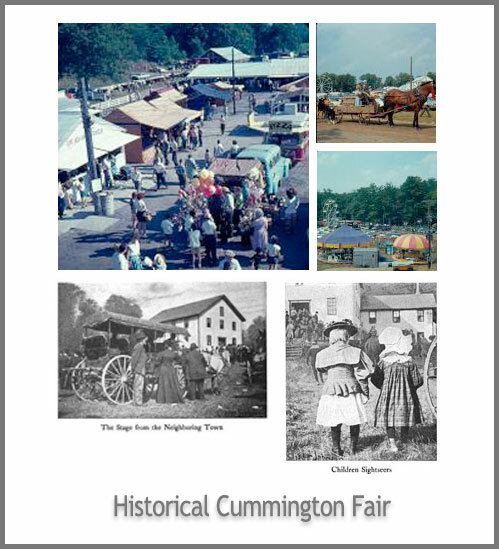 And we have video of the fair in 1968 – click here to watch!